When I say Gisele Bundchen, I'm sure you think of the gorgeous, goofy Brazilian model and actress that we all know and love. But as amazing and successful as she has become, the world's highest paid model hasn't always looked as glam and fabulous as she does now. I mean, the woman began her career at 14, so we have decades of documented moments, from her fresh-faced, babyface moments to her Leo DiCaprio days. When you look at these 17 photos of Gisele Bundchen that look nothing like Gisele Bundchen, your jaw is going to drop. Trust me. From feathered Farrah Fawcett hair to ‘90s spaghetti strap black dresses, Bundchen has had some serious style moments. Aside from the red carpet, there’s also the hundreds (thousands?!) of runway shows she’s been styled and dressed for, meaning there are some super eccentric and unexpected looks in her style lineup. Thanks to #tbt posts from her personal Instagram and hundreds of paparazzi snaps, I found some looks that actually look nothing like the Gisele we fawn over today. Some are unusual, some are downright weird, and some are gorgeous. 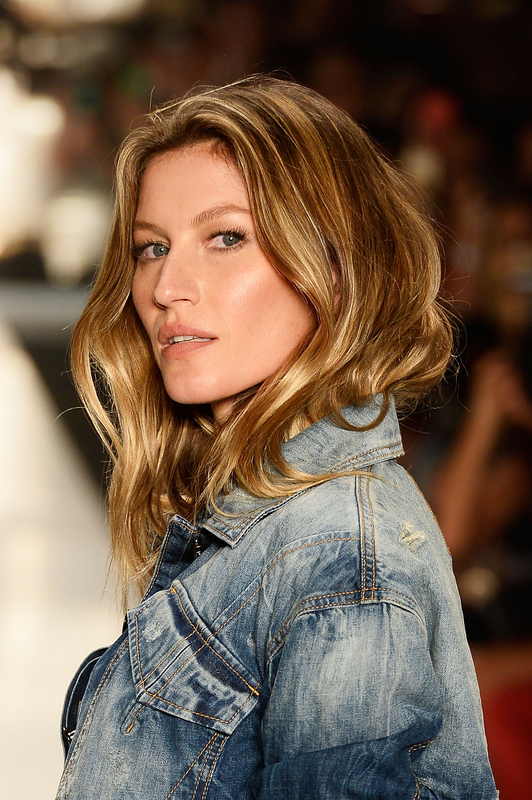 Decades of wigs, makeup, clothes, and enduring and thriving in the fashion industry on a global scale has allowed Gisele to become a complete style chameleon. I assume that’s what makes her an amazing model and muse to high-end fashion houses across the world. Go figure. Here are 17 times Gisele did not look like Gisele. Casual Cali girl look here, and I don't hate it. A little Cruella de Vil looking, don't you think? Aw, the really early years. Can you believe she was only 14 and looked this gorgeous? Oh, yeah, of course you can. Another snap from the early days of her career. She was channeling Farrah Fawcett, clearly. Did you know that Gisele was a twin? Can you imagine growing up with such a gorgeous sister(s)? I bet she doesn't have a bad picture in the family album. The '90s looked good on her, for sure. Ooooh, so intense! She's a natural. This year, she was really in to wigs, apparently. Lookin' extra bronze there, Gisele. Maybe someone went a little heavy handed with the spray tan gun. I know this look was for a show and not of her own volition, but seriously — what is the deal with that hair? When Gisele sported bangs, she made them trendy. Remember when Gisele dated Leo? Good times. Sans smile and her signature wild blonde hair, she is truly unrecognizable. Yes, those are buttons all over her gown. Buttons.